Get The Right Electricity Plan in Loraine, Texas! 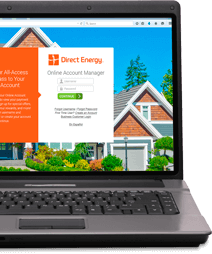 Direct Energy has already won the business of over four million home and business customers across the United States and Canada. It's time you find out why. Although we're one of the biggest residential energy retailers in North America, we provide big-business know-how without sacrificing the commitment you'd expect from a small-town energy provider. See how we provide best in class solutions for our residential and business customers! We provide the insights you need to make adept decisions, be more efficient, reduce your energy use and save money. Direct Energy is a resource you can rely on, no matter what you need. We have an abundance of specially-designed offerings across the United States and Canada for you to choose from. Sign up for your perfect energy plan in Loraine, Texas! There's more to life than stressing over your electric plan! In the Lone Star State, you could be spending your time picnicking on a sunny afternoon. Loraine has moved on from its origins as a railroad town, but Direct Energy's flexible plans and low electricity rates will keep you chugging along! During the hot and clear Loraine summers, you shouldn't have to worry about your electricity bill. Direct Energy offers you peace of mind with our many plans built to meet the needs of your home and family. There is a wide range of plans available to you, from green energy to a fixed rate, which protects your rates when the seasons change and prices potentially skyrocket. Competitive pricing and unmatched customer service are only a couple of the many benefits that come with all of our plans. Once you've chosen your perfect plan, you can use our Online Account Manager to view your payment history, check out exclusive offers, and track your usage. It's that easy! 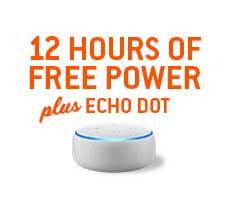 You can even do it from any device! Nobody has the same energy needs, but we have the knowledge and tools to help all energy-users become more energy-savvy and save on their electricity bill. Head to our Learning Center to learn about energy in Texas and get energy efficiency tips to help you cut your energy costs. Direct Energy is not your average electricity supplier in Loraine, Texas. Our mission is to offer our customers in the Oncor area the resources and tools they need to Live Brighter. 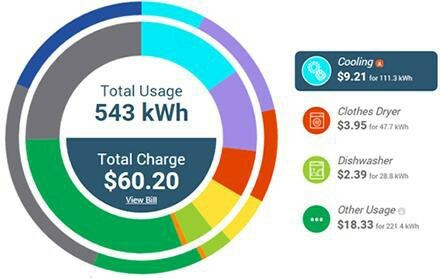 As a Direct Energy customer, you'll get access to a personalized energy insights tool, Direct Your Energy, to help you figure out and oversee your home's electricity costs. The Heat Map Calendar depicts the amount of energy consumed each calendar day so you can figure out what may have contributed to a high or low day, and adjust your usage in the future accordingly. Want to learn more about your energy use? Our Learning Center and blog can help, as they have copious resources. Direct Energy is dedicated to helping you understand and manage your energy use and take care of your home. Are you uncertain about how to keep your furnace running safely and efficiently? We have those tips for you and more! Are you trying to decide between Direct Energy and Green Mountain Energy? Learn more about the pluses of being a Direct Energy customer. Whether you're switching Loraine electricity providers or you need new service, trust us to make the process stress-free. We have a plan for everyone, from the freedom of a connected home bundle to the stability of a fixed rate and everything in between. Any plan can be managed in our easy-to-use Online Account Manager. There, you can sign up for options like Auto Pay to make paying your bill stress-free. 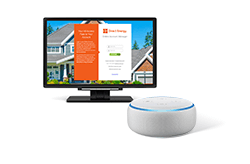 There are several things you can always count on, no matter which electricity plan you choose for your Loraine home - like an active social media community and auto pay! Take advantage of our advanced technology and energy insights tool, Direct Your Energy, to understand and manage your energy usage. Browse through our library of resources to increase your energy efficiency and save on your monthly bills. With a commitment to helping you save money on your electric bill, we separate ourselves from other electricity companies. In fact, we'll even reward you for consuming less. Try out our Reduce Your Use Rewards program and save. We have everything you need to live smarter. Get started with Direct Energy today.